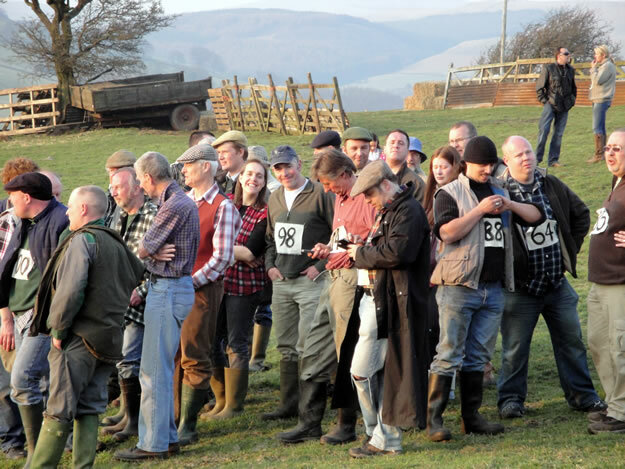 The new campaign from Hovis features a TV ad in which farmers race to promote that they only use 100% wheat and that British farmers will go to great lengths to produce this wheat for them. 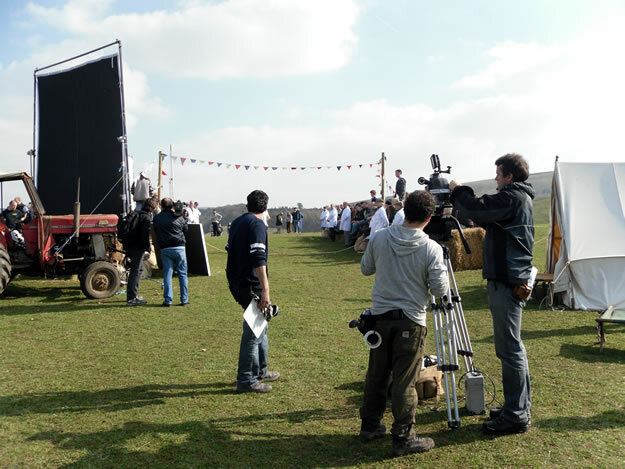 The filming for the commercial took place at Blaze Farm the week of 21st March 2011 with the crew setting up on Monday and Tuesday and the filming taking place on Wednesday, Thursday and Friday. 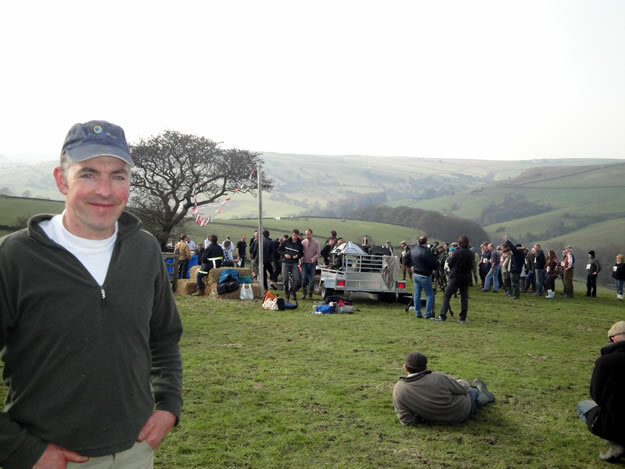 We couldn't believe how many crew members and actors it took to make the commercial - there were hundreds of people here over the week, we had over 100 extras on site alone on the Wednesday! The catering mobiles kicked into life at 4am every morning with breakfast served between 5-6am, there were medical staff on standby throughout the week and one of the tea rooms was even turned into a wardrobe department! 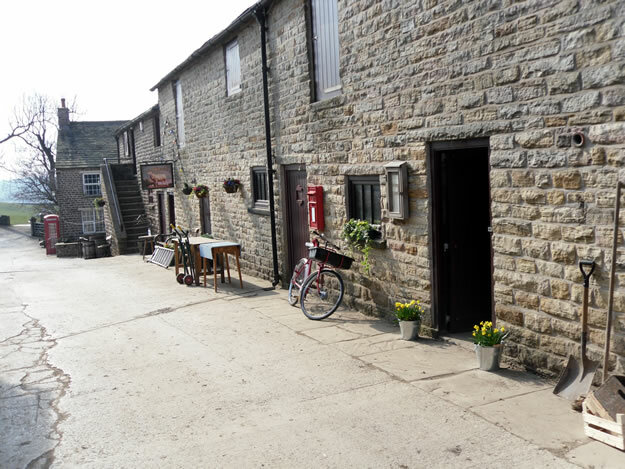 If you watch the commercial you may be able to spot where some of the filming took place around the farm, perhaps the most recognisable bits being our nature trail that the actors ran and rolled down, and outside the ice cream parlour where our yard was converted into a small village complete with Pub, Post Office and bunting!! Farmer Harold – the Postman! It was such a fantastic experience for the whole family to be involved in - the actors and film crew were such a lovely bunch and the weather was just perfect too! It was an exhausting week for us to host but we've certainly logged it as one not to be forgotten! 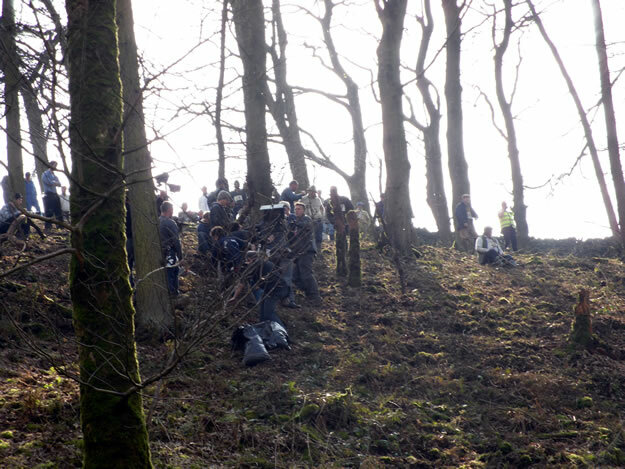 The campaign, created by Dare, rolled out on the same weekend as the Grand National. A view from behind the camera! 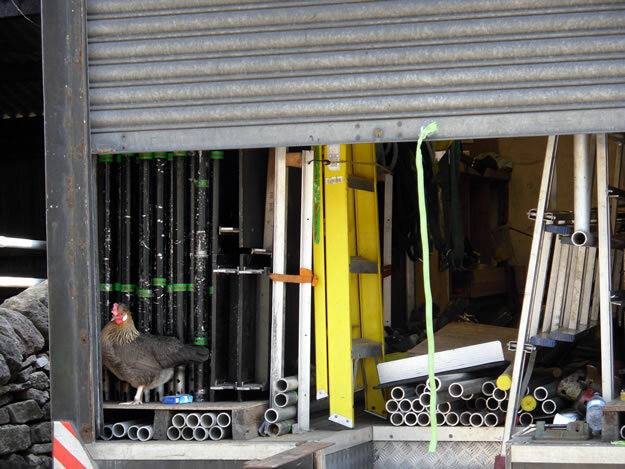 One of our cheeky chickens in the back of one of the props lorries – they were extras too! Outside the ice cream parlour which was converted to look like a village!